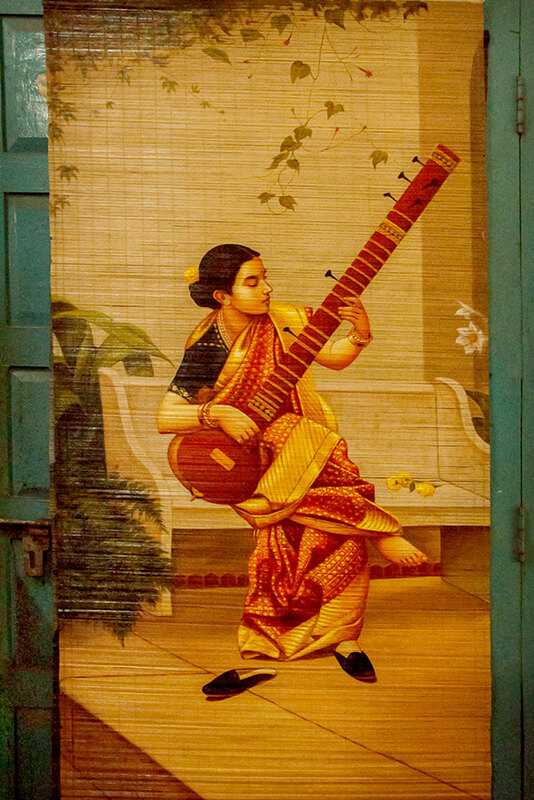 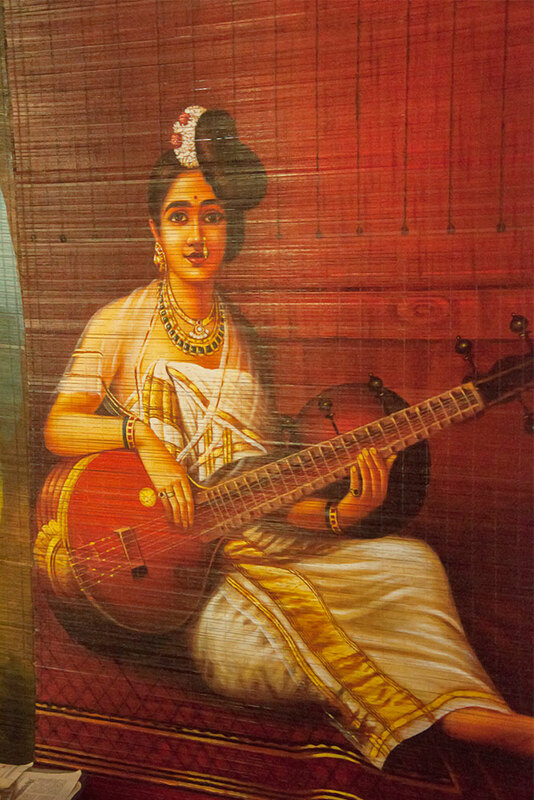 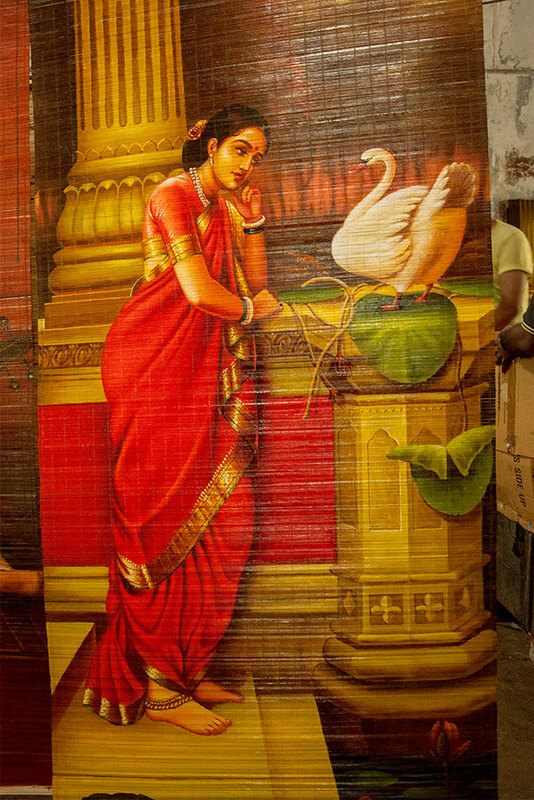 Bamboo mat painting craftsman depicts religious images, images of the birds and animals, lady dressed in traditional attire, rework of raja Ravi Verma, and landscape paintings. 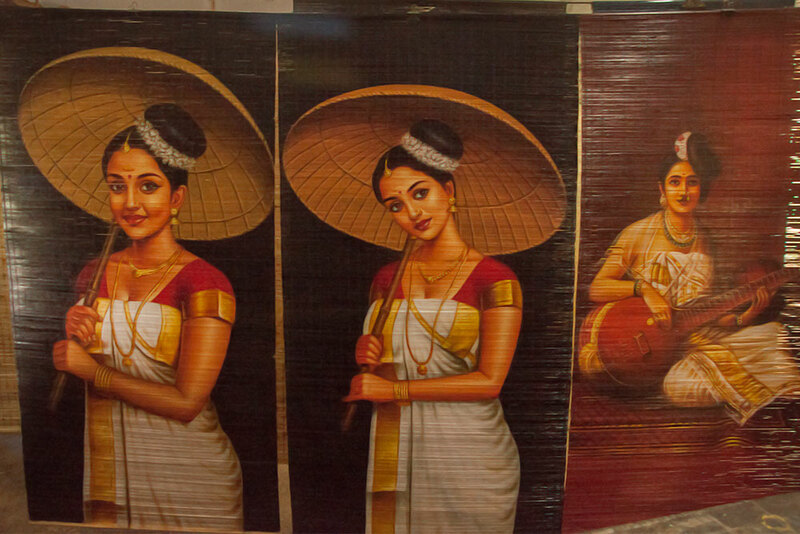 Much of these are highlighted with bright colours to give a natural look. 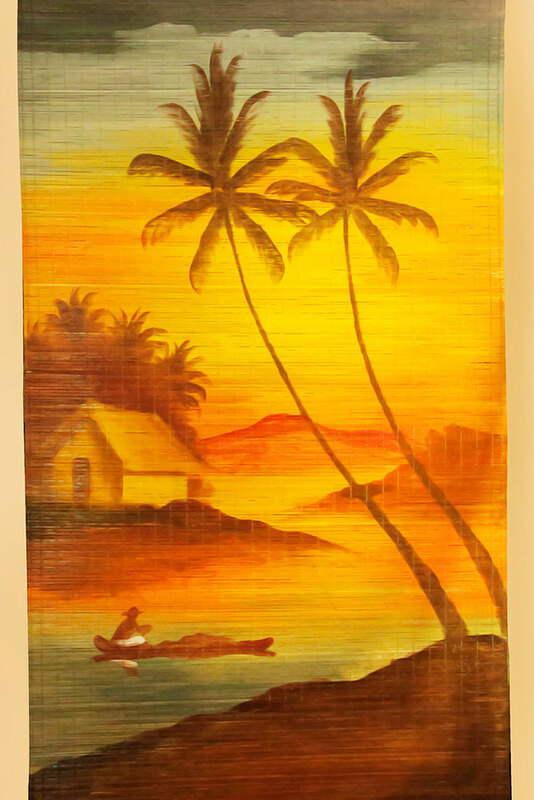 The artists design all these paintings in different sizes, beautifully presented in appealing bamboo reed frame at the bottom and with the hanging at the top.